I will train with anyone I find entertaining; however over the years I have learned to entertain myself. I live by the green triangle. What’s good for my body is good for the environment is good for my wallet. I run because I always have. For me, it is the most natural thing to do. 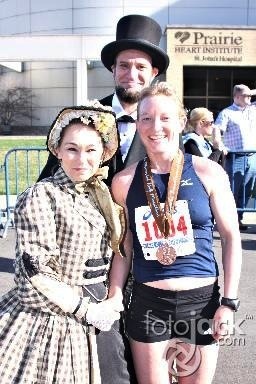 My best marathon memory was helping my friend Jessica and her husband Seth qualify for Boston on successive weekends. I pace to actively help others achieve their goals. Running in a pace group turns the race into more of a team sport. You’re in a group with like-minded individuals striving for the same goal. Just relax and let me do all the thinking.